Remember when I gushed and raved over the cover of Air Awakens? 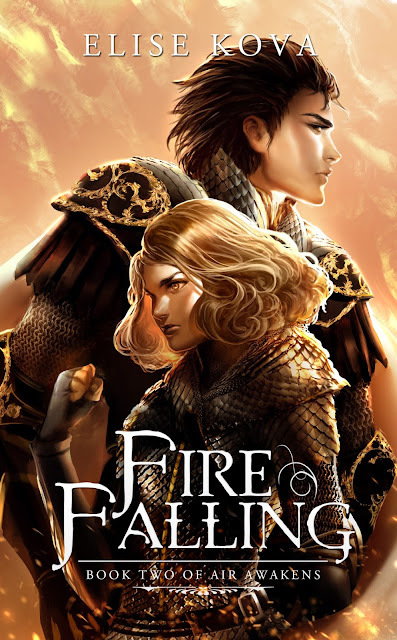 Well the cover for FIRE FALLING, the second in the Air Awakens series by Elise Kova, is here and it is even better than the first one. (No seriously, it is) The amazingly talented zwxart has created something EXTREMELY beautiful and I'm so glad I get to be a part of the sharing experience with everyone! 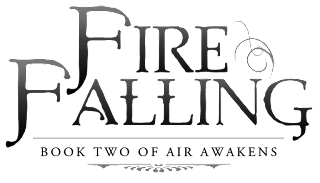 At the bottom is a rafflecopter giveaway for a SIGNED ARC of Fire Falling and there is a character bio of one of the main characters in the series (and the love of my life) so make sure you check that out too! Since we all got to choose our own characters, make sure you check out some of the other posts to see the other characters! Soldier… Sorcerer… Savior… Who is Vhalla Yarl? Vhalla Yarl marches to war as property of the Solaris Empire. The Emperor counts on her to bring victory, the Senate counts on her death, and the only thing Vhalla can count on is the fight of her life. 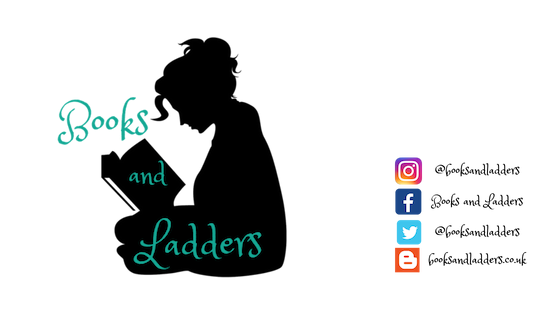 As she grapples with the ghosts of her past, new challenges in the present threaten to shatter the remnants of her fragile sanity. Will she maintain her humanity? Or will she truly become the Empire’s monster? Click to view the Synopsis! HELLO GORGEOUS! I was literally blown away by the details and fierceness of Vhalla and Aldrik on this cover. And it actually looks like it is on fire. It is beyond anything I could have imagined or thought would be possible for this. But the beautiful cover matches the beautiful story that I know Elise has placed inside. 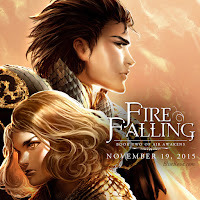 FIRE FALLING releases on November 19, 2015 (which is so close it is crazy!) 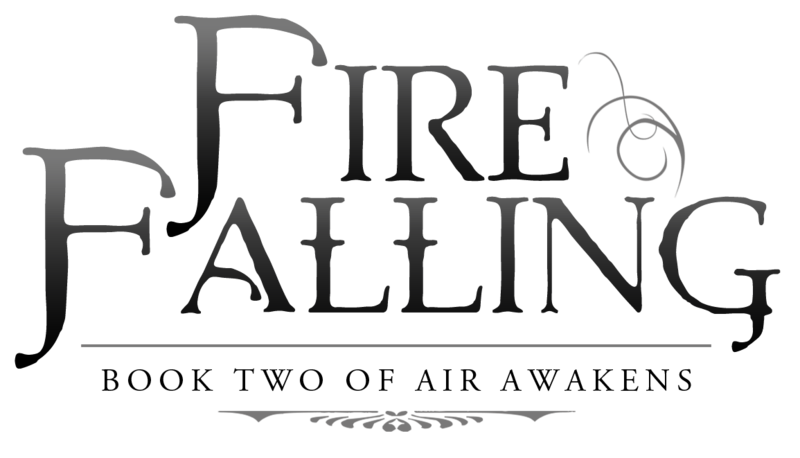 But first, click below to add FIRE FALLING to your Goodreads shelves! Before you pick up FIRE FALLING, make sure you pick up AIR AWAKENS when it releases on August 27, 2015! You can preorder it at various places, check the links below! Childhood: Prince Baldair is the second son of the Imperial family. Born to the Emperor Solaris’s second wife he quickly became established as the antithesis to everything his older brother, Aldrik, was. Without magic, Prince Baldair took up the sword and formed the elite fighting group known as the Golden Guard that grew during his young adulthood and the war in the North. Baldair is known as the “Heartbreaker Prince” for his skills with the ladies and he embraces that title. He is quick to put his techniques to work the first time he meets Vhalla Yarl. The prince finds it amusing to work up the library girl with comments and winks in a brief chance meeting before he returns to the Northern war-front. Despite making an impact on her, the meeting is quickly forgotten by the younger prince. I think my choice of Baldair as my character to highlight in this post was pretty obvious to anyone who follows me on Twitter. I did gush about him in my Air Awakens review and have been talking about him non stop ever since. Hopefully we see more of him in FIRE FALLING and in the rest of the series in general! He has the ability to be a fantastic friend and ally to Vhalla. Baldair! At first I thought he was a bit vain, but as a character he really really grew on me! I know you have a serious crush on him, so I totally knew you were going to pick him *winks* Great choice!